From now until January 2nd, Google Play is running a holiday sale on movies, television shows and books (via Android Police). During the sale, Android users can rent select movies for 99 cents to $2.99 instead of the usual $3.99-$5.99. These films include Crazy Rich Asians ($2.99), Ocean's 8 ($2.99), The Shining (99 cents), The Best of the Wiggles ($1.99) and many more. 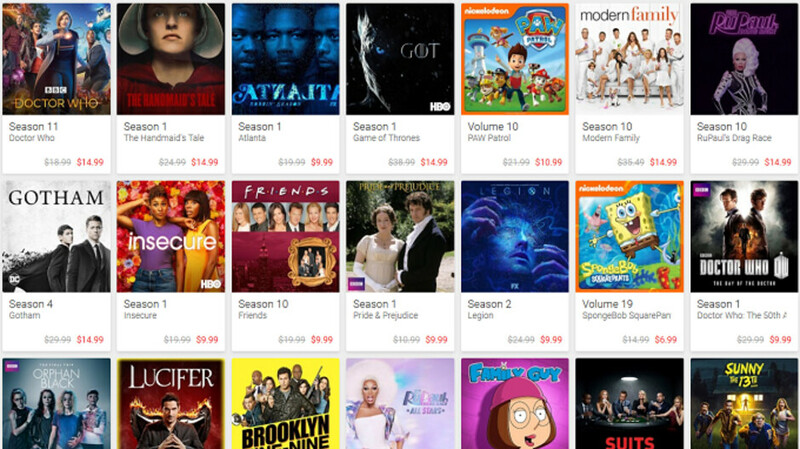 Google Play also is offering discounts on the purchase of specific seasons of select television series. These are usually priced as high as $38.99, but can be yours for under $15. For example, season 1 of The Game of Thrones, normally $38.99, is offered for $14.99. For that same price, you can view season 10 of the award winning RuPaul's Drag Race. Miss the first season of American Horror Story? Pick it up for $4.99. Season 1 of Mad Men is the same price, as is the premier season of the hilarious Schitt's Creek. There are many more titles to choose from. And if you like to read, Google Play is selling books for under $5. These titles include Murder on the Orient Express ($2.99), The Thorn Birds ($1.99), World Order ($2.99) and plenty more. 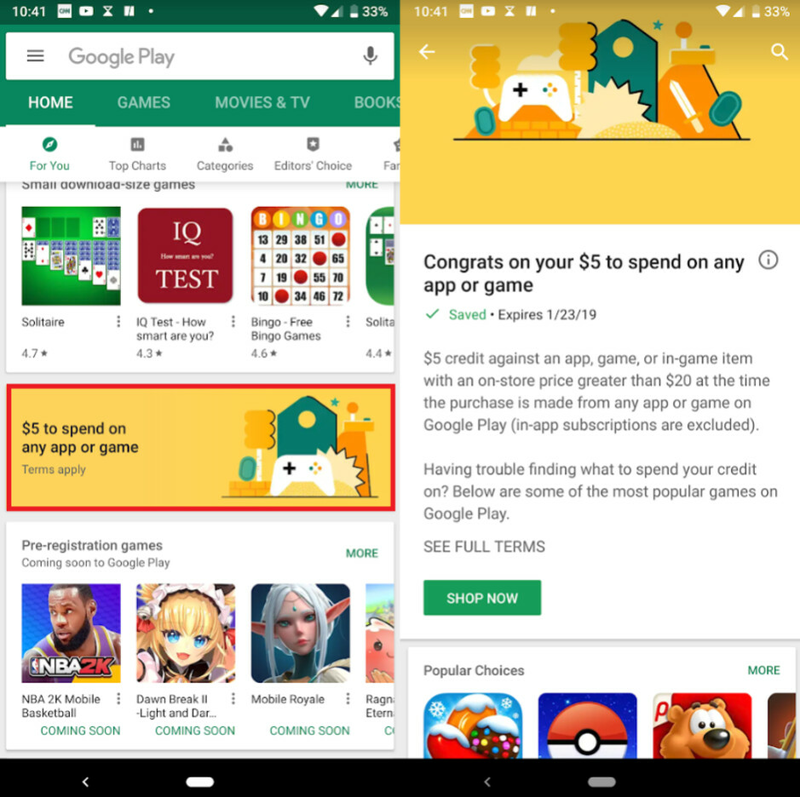 Google also is offering a $5 credit that users can spend on any app, game, or in-game item priced at over $20 at the time of purchase. You can find the coupon by scrolling down in the Google Play Store app (see image directly below). The $5 must be used before January 23rd, 2019. I looked. I don't see the coupon. I found a $10 off $30 coupon, but no $5 off $20.